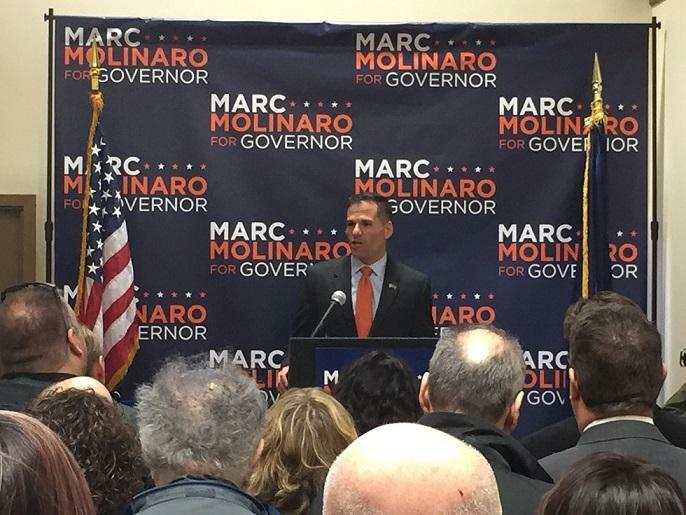 Molinaro, currently he Dutchess County Executive, announced his candidacy Monday after he, and local Republicans there to support him, admitted his reluctance to get into the race. Marc Moliarno brought his newly-launched gubernatorial campaign to Buffalo Wednesday. "Many of us approached Marcus Molinaro, who at this point had stood down from the race and said 'this is not the proper time for my family to do this and take this race on.' But he answered the call. 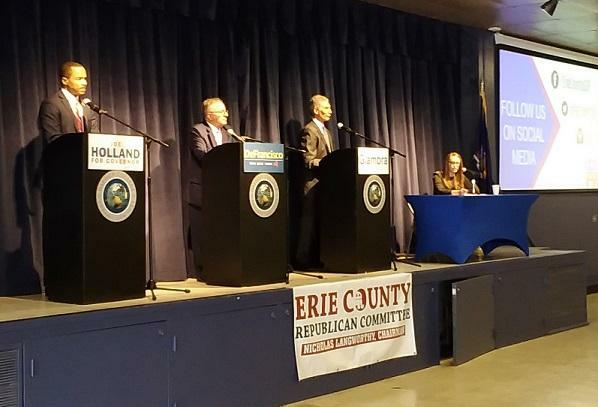 He answered the draft," said Erie County Republican Committee Chairman Nick Langworthy. "He showed up and we are standing strong behind him." The 42-year-old Molinaro, whose political career began at the age of 18 upon winning election as mayor of the Village of Tivoli, admitted the outpouring of support led him to reconsider and then enter the race. He said his sacrifice pales in comparison to the daily sacrifices of New Yorkers. 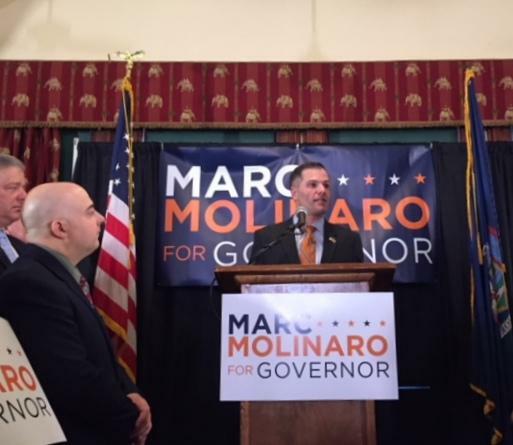 "As I looked to the state capitol, I saw an administration focused inward, not on the people but on self-preservation and political survival and presidential ambitions," Molinaro said. Molinaro attacked the incumbent for addressing the state's financial needs by raising taxes. He suggested New Yorkers are, every day, paying a "corruption tax." "We pay it when we ride mass transit. We pay it when we turn on our lights. We pay it when we go to the movies or go to a doctor. It's hidden, undermining, corrosive," Molinaro said. "It's a tax on every single citizen of New York." In his introductory remarks, Langworthy took aim at Cuomo's economic development policies, suggesting the governor tried to buy the affection of Western New Yorkers after a poor local showing in the 2010 election, the year he was challenged by Buffalo businessman and developer Carl Paladino. "People understand. They've seen through the gimmickry. They've seen through the games. They understand that his economic development policies do not work," Langworthy said. "They don't work here. They don't work in Rochester. They don't work in Syracuse. They don't work in Albany. They don't work in New York City and they certainly don't work in Long Island." Molinaro, who was born in Yonkers, spoke of his modest upbringing, how he mowed lawns and cleaned barns, how a free school lunch was looked upon as a treat. He declared he wasn't born into money, nor into a prominent political family. State Assemblyman Ray Walter, one of numerous elected officials present for the visit, thinks Molinaro's more down-to-earth roots will appeal to voters at this end of the state. "The contrast is so stark. I think it's really going to play well to the public throughout the state and give us something to believe in and hope for the future," Walter said. Sheriff Timothy Howard, Erie Comptroller Stefan Mychajliw and representatives of Congressman Chris Collins were also present. 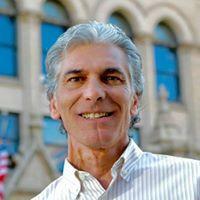 So, too, was Niagara Falls Councilman Chris Voccio, who sits on the Niagara Falls City Republican Committee. While he pointed out they have a continuing process to determine the candidate they will ultimately endorse, Voccio left the event sold on Molinaro. "What I can tell you as an individual, not as a city councilman but as an individual and a member of the Republican Party, I vigorously support Marc's candidacy," Voccio said. "I like what I heard today. I like his background. I like that he exhibits a high level of energy that we're going to need to win the governorship. I believe for the first time in this electoral process that he can be and will be the next governor. I going to work hard on his behalf in Niagara Falls." 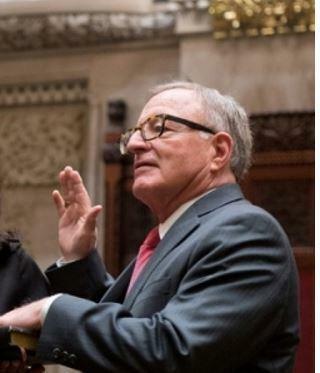 Molinaro joins State Senate Deputy Majority Leader John DeFrancisco and former state housing commissioner Joe Holland in a Republican primary. Cuomo, meanwhile, faces a Democratic primary challenge from actress and activist Cynthia Nixon. Former Erie County Executive Joel Giambra ended his bid for the Republican nomination but hopes to secure a place on the November ballot via the Reform Party. Gov. Andrew Cuomo said he’s unconcerned about the possibility of a primary from the left by Cynthia Nixon, and even made a joke linking to the actor and Russian interference in the U.S. elections.